The Boston Police Department is releasing the above image in an effort to identify the individual pictured in relation to a hit and run which occurred in the area of Northern Avenue and Fan Pier Boulevard in South Boston. The facts of the original incident are as follows: At about 11:45 AM on Friday, March 29, 2019, officers assigned to District C-6 (South Boston) onsited a motor vehicle accident in the area of Northern Avenue and Fan Pier Boulevard in South Boston. On arrival, officers observed an Amtrak truck operating erratically after striking multiple cars in the area. Officers observed an unknown Hispanic male flee the motor vehicle on foot. The suspect made good on his escape, evading officers upon fleeing into a construction site. Additional officers responded to the scene and were able to locate a female victim suffering from minor injuries when the Amtrak truck apparently ran over her foot. The victim was transported to a local hospital. The Boston Police Department is actively reviewing the facts and circumstances surrounding this incident. Anyone with information is strongly urged to contact Boston Police District C-6 (South Boston) Detectives at (617) 343-4742. Community members wishing to assist the investigation anonymously can call the CrimeStoppers Tip Line at 1(800)494-TIPS or text TIP to CRIME (27463). 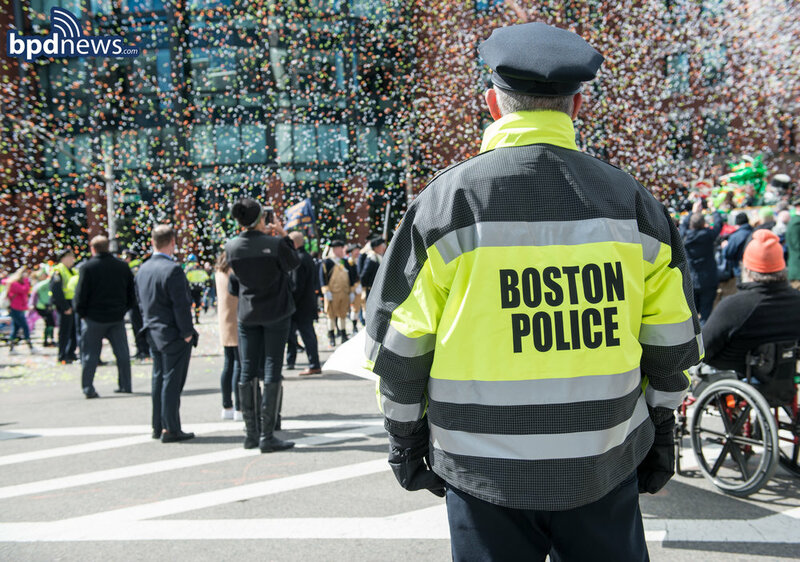 The Boston Police Department stringently protects the identities of those who wish to remain anonymous. 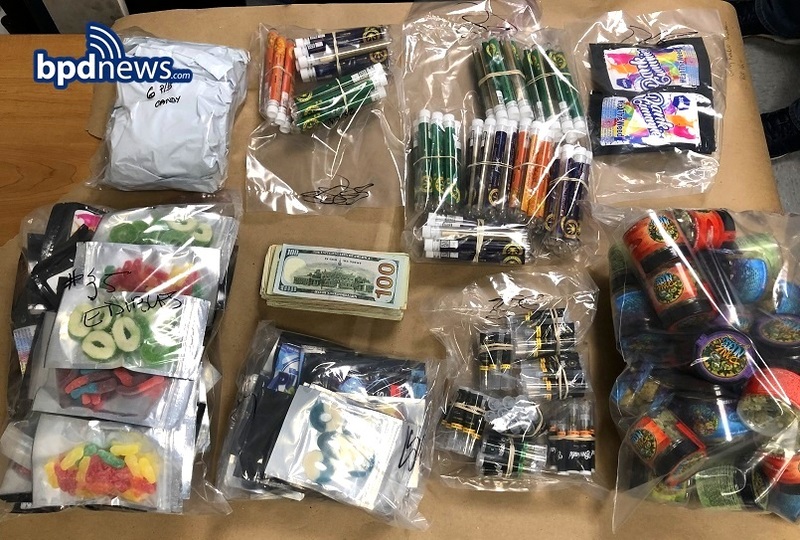 Keeping Boston Safe: At about 8:10 AM on Wednesday, March 27, 2019, members of the District C-6 (South Boston) and E-13 (Jamaica Plain) Drug Control Units executed a search warrant in the area of 33 School Street in Roxbury. As a result, officers recovered the following items: a Springfield Armory XD .45 caliber firearm loaded with fourteen rounds of live ammunition and sixty-nine rounds of live ammunition. 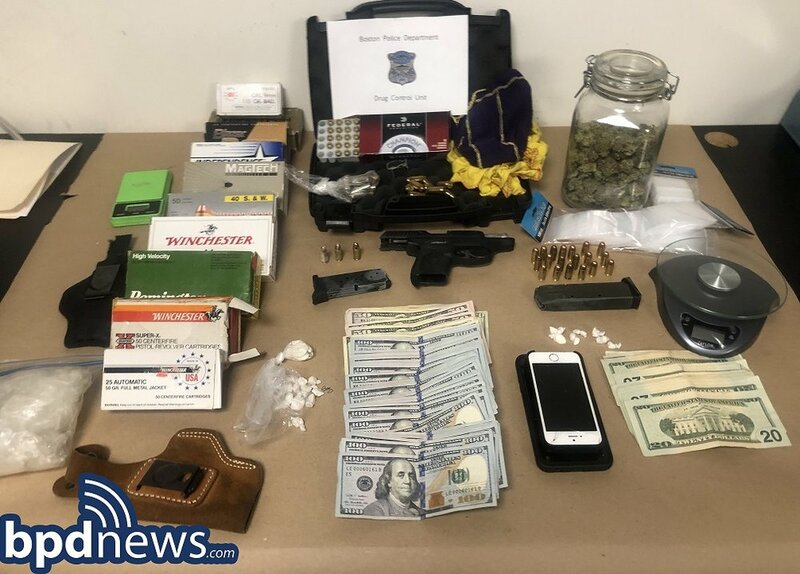 Officers arrested Samuel Bordoy, 24-years-old, of Dorchester. Bordoy is expected to be arraigned in Roxbury District Court on charges of Unlawful Possession of a Firearm, Unlawful Possession of Ammunition, and Unlawful Possession of a Large Capacity Feeding Device. 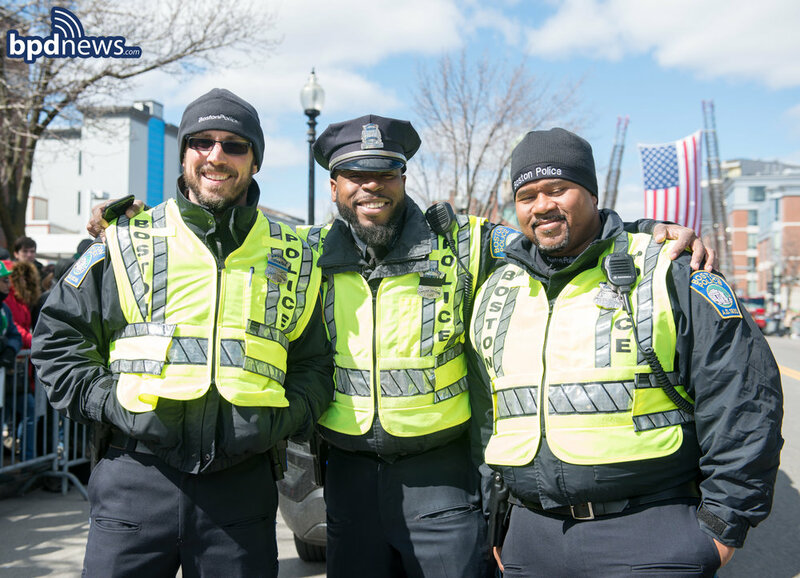 BPD Photo of the Day: Our officers assigned to the BPD Citywide Bicycle Unit are grateful for the assistance rendered by the Massachusetts State Police and UMASS Boston Police Department at yesterday’s Saint Patrick’s Day Parade in South Boston. 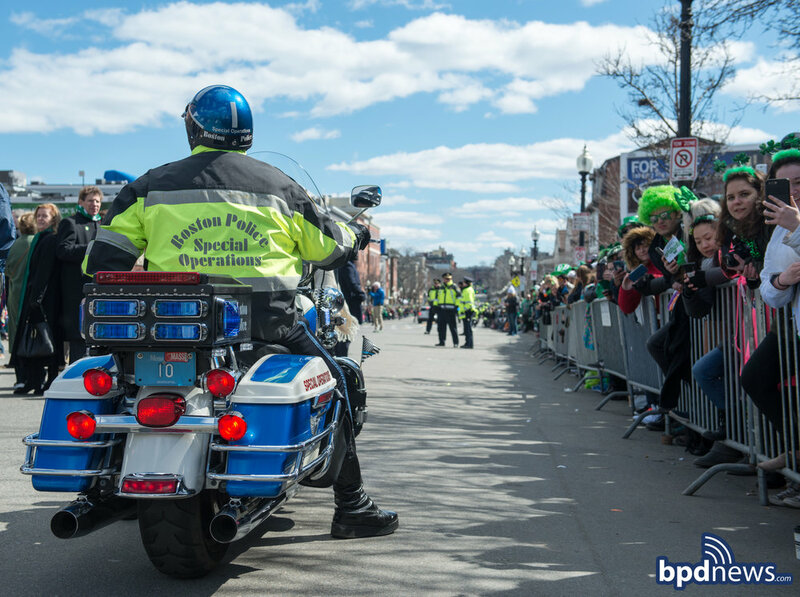 As a result of a partial call out for regional assistance, 60 officers were mobilized along and around the parade route to assist with public safety. For larger scale events in the city, the “Cobra Team”, as it’s called, can grow to upwards of 150 officers with the assistance of other local law enforcement agencies. 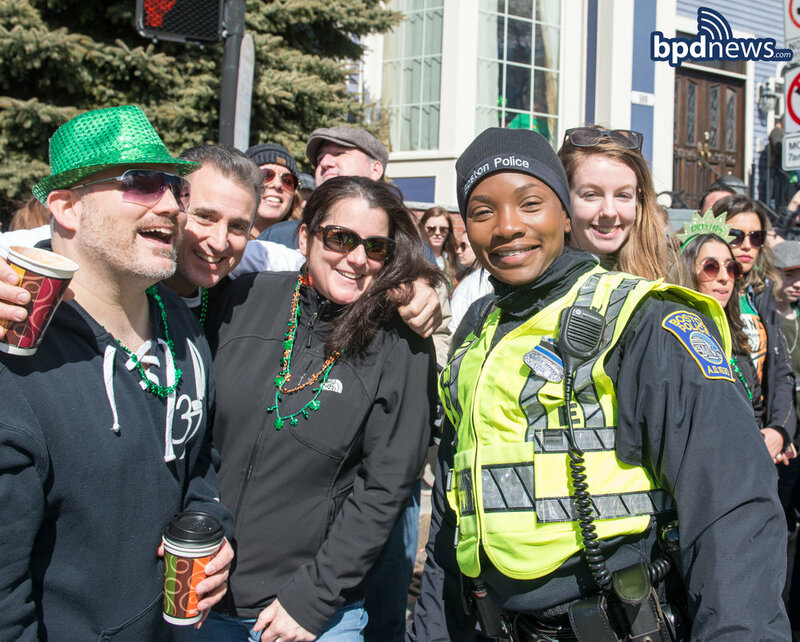 We thank our officers for their work yesterday and we thank our partners for their help which resulted in another successful and safe parade day. 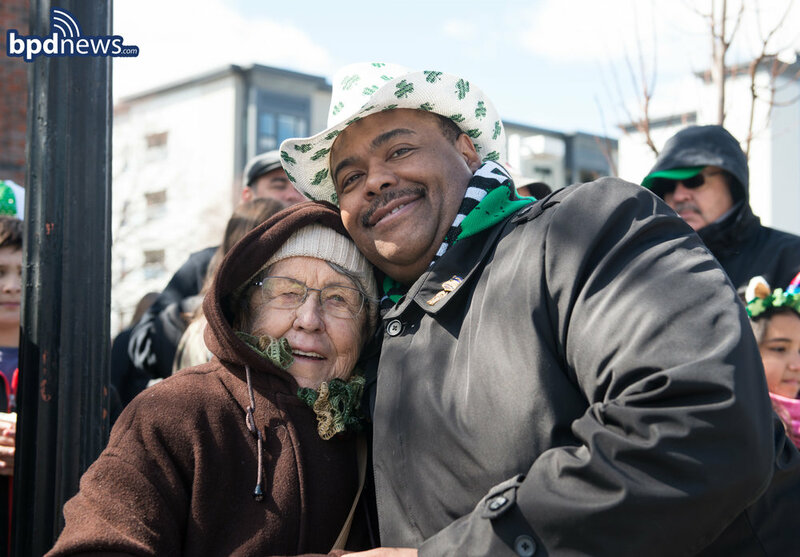 118th Annual St. Patrick’s Day Parade: The Boston Police Department would like to thank everyone who came out to enjoy the 118th Annual Saint Patrick’s Day Parade in South Boston yesterday. The members of the community who celebrated responsibly made the festive day memorable for all. All arrestees have since been arraigned in South Boston District Court. 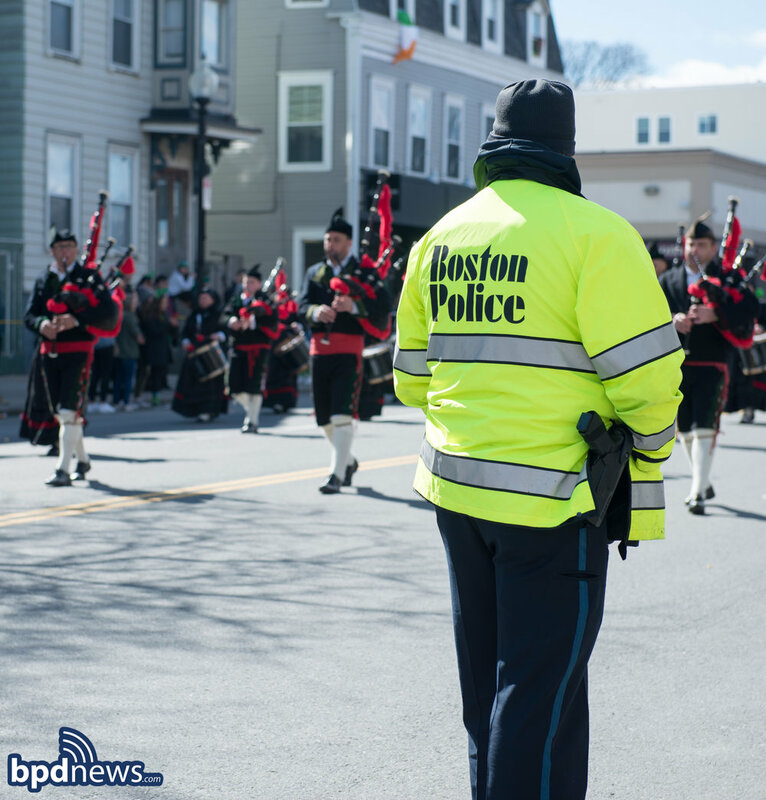 We are grateful to all of our officers and department members who worked hard to ensure the safety of the parade participants and spectators along the route. Once again, we thank everyone who helped to make this event the family focused day it’s intended to be. At about 2:50 AM on Saturday, March 2, 2019, officers assigned to District C-6 (South Boston) responded to a radio call for a vandalism in progress in the area of East First Street and P Street in South Boston. While enroute to the above location, officers received additional information that an unknown male had been spray painting inside of an alley way. A description of the male was also provided to officers. On arrival, officers detected a strong odor of paint fumes emanating from the area. Officers observed several street signs which appeared to be defaced and covered with fresh, wet paint. Officers continued to canvass the area for the suspect. Officers eventually located a male matching the description of the suspect in the area of O Street and East First Street. While approaching the male, officers observed him to be carrying a can of spray paint which he immediately placed inside of his pocket upon seeing officers. The suspect was then commanded to removes his hands from his pockets, to which he complied. Officers observed the suspect to be wearing blue latex gloves with paint on the finger tips. The suspect was subsequently taken into custody. Officers arrested Alexander Dunn, 32-years-old, of South Boston. Dunn is expected to be arraigned in South Boston District Court on charges of Destruction of Property and Tagging. One Less Gun: At about 10:30 AM on Sunday, March 3, 2019, members of the District C-6 (South Boston) Drug Control Unit made an onsite arrest and recovered a loaded firearm in the area of 870 Massachusetts Avenue in Roxbury. While on patrol in the area of the above location, officers encountered two occupants of a motor vehicle who were observed to have been engaging in drug activity. Due to recent instances of violence in the area, the occupants were removed from the vehicle. At this time, officers located a HS Germany .22 Caliber Revolver loaded with eight rounds of live ammunition inside of a backpack on the floor of the passenger’s front seat. Officers placed the passenger under arrest. Officers arrested Devonte Jackson, 25-years-old, of Randolph. Jackson is expected to be arraigned in Roxbury District Court on charges of Unlawful Possession of a Firearm, Unlawful Possession of a Firearm Subsequent Offense, Unlawful Possession of Ammunition, Unlawful Possession of Ammunition Subsequent Offense, and Carrying a Loaded Firearm. 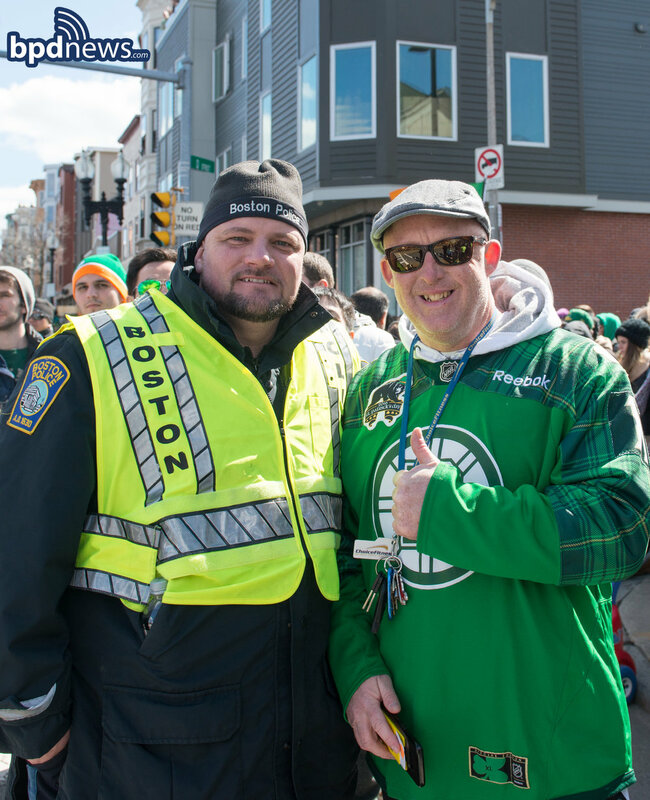 On Tuesday, February 26, 2019, the Boston Police Department received a letter of thanks from Mr. Dan Hurley on behalf of his mother, a resident of South Boston, expressing gratitude to BPD Detective Robert Charbonnier for going above and beyond the call of duty while working a paid detail in South Boston. Sometimes, only the bad incidents seem to make headlines, so I wanted to send you a police officer’s random act of kindness. UPDATE: At about 2:21 AM on Friday, February 22, 2019, officers assigned to District C-6 (South Boston) encountered a male operating a motor vehicle in the area of 102 Gerard Street in Roxbury. During the interaction, an exchange of gunfire occurred between the suspect and officers. During the exchange, a Boston Police Officer was struck multiple times by the suspect’s gunfire. A short time later, the suspect’s motor vehicle, with the suspect still inside, was located in the area of George Street in Roxbury. The suspect, who is identified as Kasim Kahrim, 36, of Boston, was pronounced deceased on scene. Officers recovered a firearm from the motor vehicle in which the suspect was located. The officer was transported to Boston Medical Center with non-life-threatening injuries. The Boston Police Department and the Suffolk County District Attorney’s Office are actively investigating the facts and circumstances surrounding this incident. At about 2:21 AM on Friday, February 22, 2019, officers assigned to District C-6 (South Boston) encountered a male operating a motor vehicle in the area of 102 Gerard Street in Roxbury. During the interaction, an exchange of gunfire occurred between the suspect and officers. During the exchange, a Boston Police Officer was struck several times by the suspect’s gunfire. A short time later, the suspect’s motor vehicle, with the suspect still inside, was located in the area of George Street in Roxbury. The suspect was pronounced deceased on scene. Officers recovered a firearm from the motor vehicle in which the suspect was located. The officer was transported to Boston Medical Center with non-life-threatening injuries. 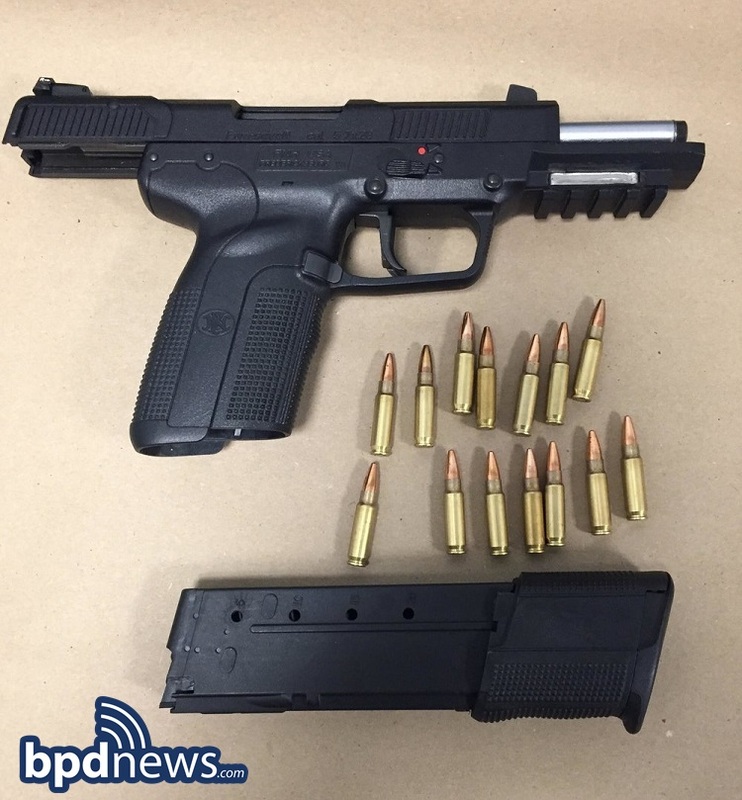 At about 9:05 PM on Wednesday January 9, 2019, officers assigned to District C-11 (Dorchester), with assistance from officers assigned to District C-6 (South Boston), Boston Housing Police and the BPD K-9 Unit, arrested Yusuf Mohamed, 19, of South Boston, on firearm related charges in the area of 4 Orton Marotta Way in South Boston. The arrest comes as a result of an investigation into a non-fatal shooting of an adult male victim that occurred at about 2:15 PM on Monday December 31, 2018, in the area of 1439 Dorchester Avenue in Dorchester. Officers executed a search warrant which led to the recovery of a 5.7 caliber FN Herstal handgun as well as a loaded .380 caliber Ruger LCP handgun with a laser sight. The suspect was placed in custody on scene without incident and will appear in Dorchester District Court on numerous charges including Assault with Intent to Murder, Assault and Battery by Means of a Dangerous Weapon, Unlawful Possession of a Firearm (2 Counts) and Unlawful Possession of Ammunition. 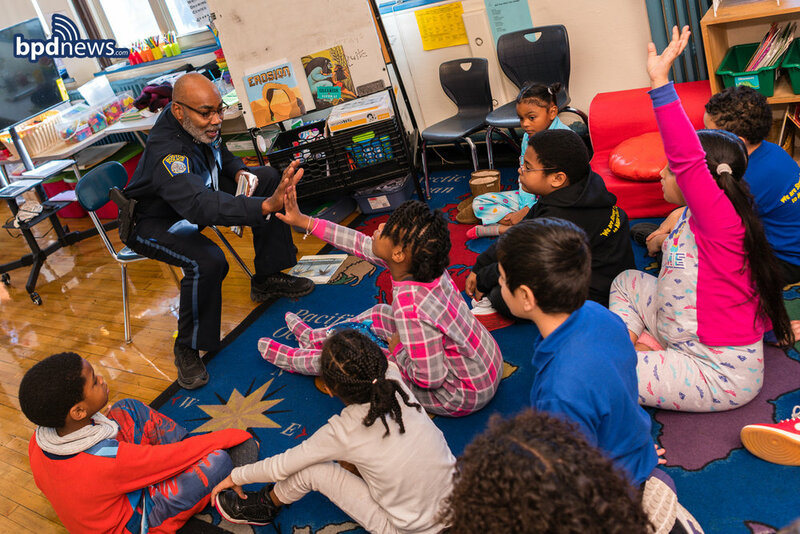 BPD in the Community: Earlier today, on Thursday December 6, 2018, some of our officers enjoyed a fun morning reading to students at the Michael J. Perkins School in South Boston. The officers were there to participate in the school’s “Cookies & Books” program which encourages students to share their love of reading and, of course, delicious cookies. 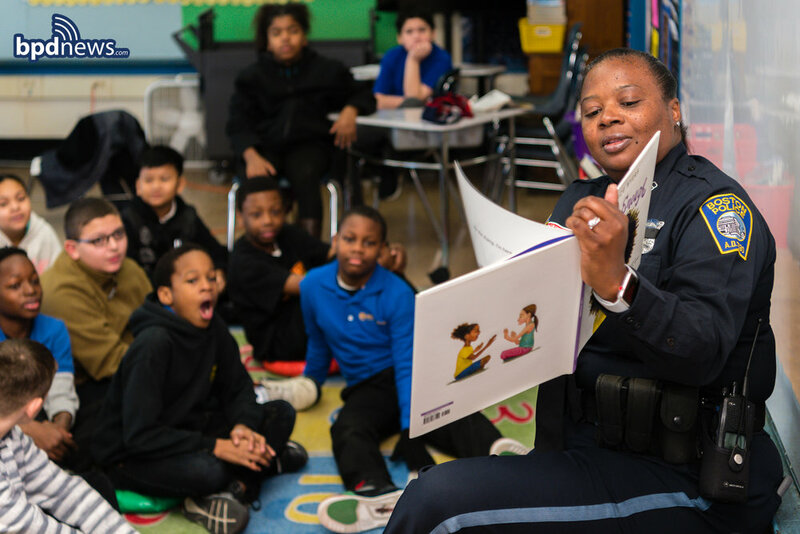 Officers read books focusing on safety, positivity and community while sharing a few laughs and even a couple of high fives along the way. We would like to thank the students, faculty and staff for their warm welcome. 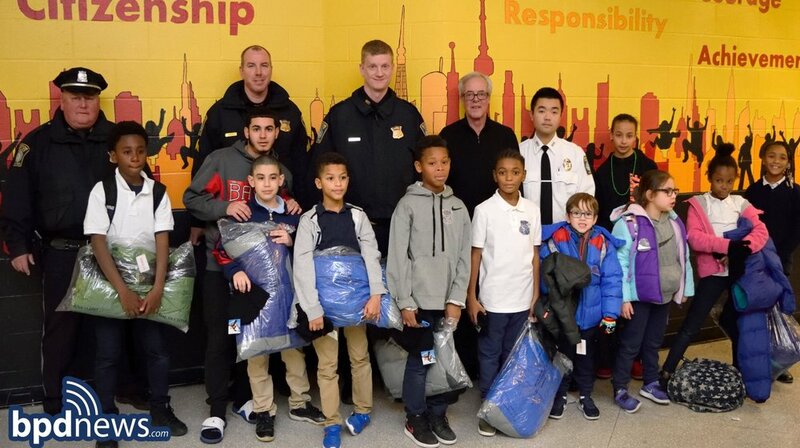 During the month of December, members of the District C-6 (South Boston) Community Service Office partnered with a local charity foundation to donate 200 winter coats as well as hats and gloves to the youth in need from the South Boston area. The event, which took place at the Condon Community Center, focused on giving back to those in need during the holiday season!